This is SilentMode, and this is review #69. For those who don’t like the fact I’m [still] doing reviews: take heart in the fact there are 31 of them to go. I may even retire early, if you’re lucky. Today it’s the turn of Seismo from the Cragsters tribe. Aesthetically, if there’s ever been a throwaway design character in Mixels thus far, this one looks like its it. It definitely wouldn’t be my first choice of set to pick up in the store… but as always, let’s reserve judgement. The back of the bag? Exactly the same as the others, except Seismo is highlighted this time. One area that Seismo impresses is with its selection of parts, including three pairs of the new joints parts for 2014 (from top to bottom: parts 11419, 11418 and 11417). 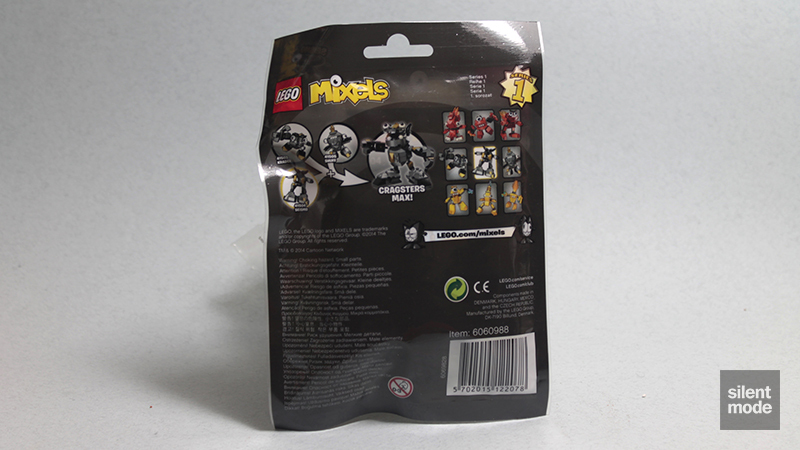 Seismo is one of three Mixels in Series 1 to have the singular 2×2 round White tile with eye print; you can also find that part in 31019 Forest Animals and 31021 Furry Creatures, where they come in twos. Those two rock-looking pieces in Dark Stone Grey (part 47759) make a welcome appearance in both this set and Shuff; you get two of them in both sets, while in the more expensive 79102 Stealth Shell in Pursuit Teenage Mutant Ninja Turtles, and 75019 AT-TE Star Wars sets, you only get one. So unlike the other Mixels in this series, Seismo starts off with a round base, using that chunky 4×4 round brick in Dark Stone Grey. It also comes equipped with a pair of devilish looking horns. We’d better not antagonise Seismo any further; these legs – which probably take up half the parts used in this set – look particularly lethal. 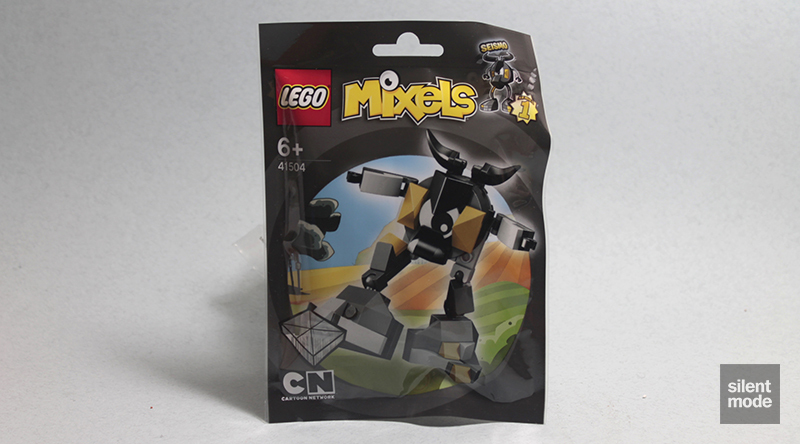 Unlike most of the other Mixels, they’re not simply mirror images or duplicates of each other; the Pearl Gold and Medium Stone Grey cheese slopes are used to decorate them differently. I’ve narrowly managed to avoid getting the Blue Man Group treatment by playing Seismo’s favourite song in the background… but here it is! Seismo, the Mixel who loves nothing more than to stomp with all its might. 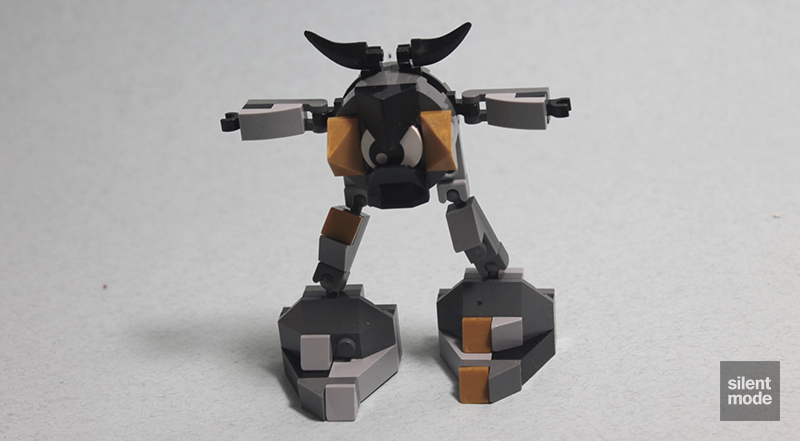 SEISMO is a quiet and shy Cragster, and just a nervous tap of this Mixel’s huge feet can cause an earthquake. This can be useful when Nixels attack because SEISMO’s stomp can cause an avalanche to bury them! While I’m not a fan of the packaging and the character design, I am rather impressed with Seismo’s legs, which make good use of the new joints. 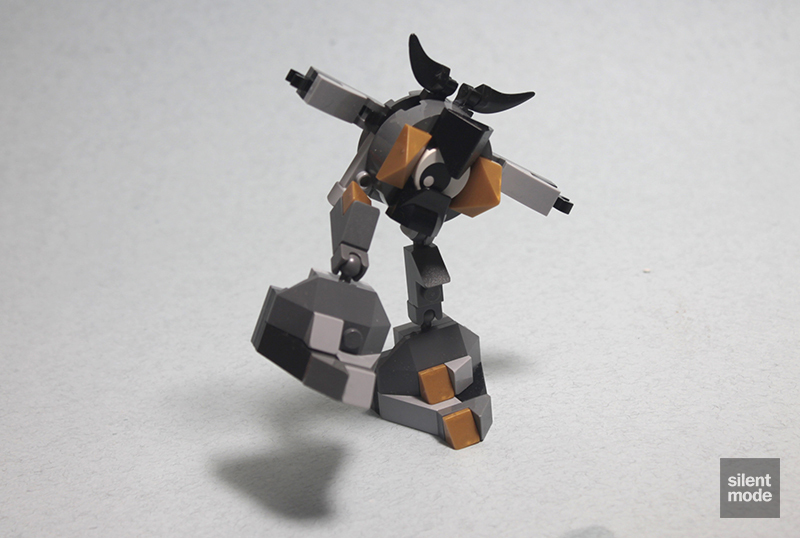 It was relatively simple to get it in the stomping pose, and now you know how to do it to. The model looks a lot better in the flesh (or bricks, if you must) than on the packaging, which is usually the case with LEGO sets. That said, this is definitely a set I’d get for parts – particularly the joints and the “rock” pieces – rather than the Mixel. We’re going to give Seismo 6.0/10, I think.